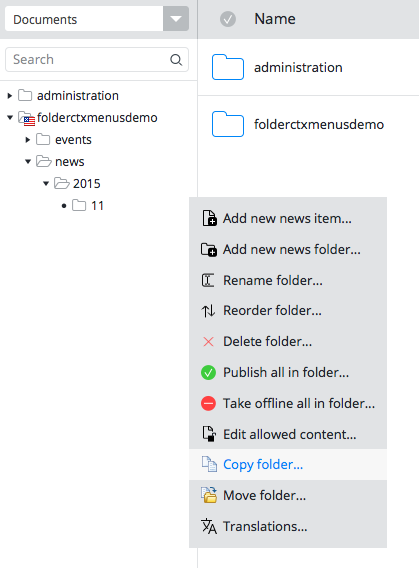 This project provides extra Folder Context Menu items such as 'Copy folder...' and 'Move folder...' for BloomReach XM with extensible base implementations for developers. The best way to explain this feature is probably to show screenshots. After installing this plugin, you will be able to see 'Copy folder...' and 'Move folder...' context menus. 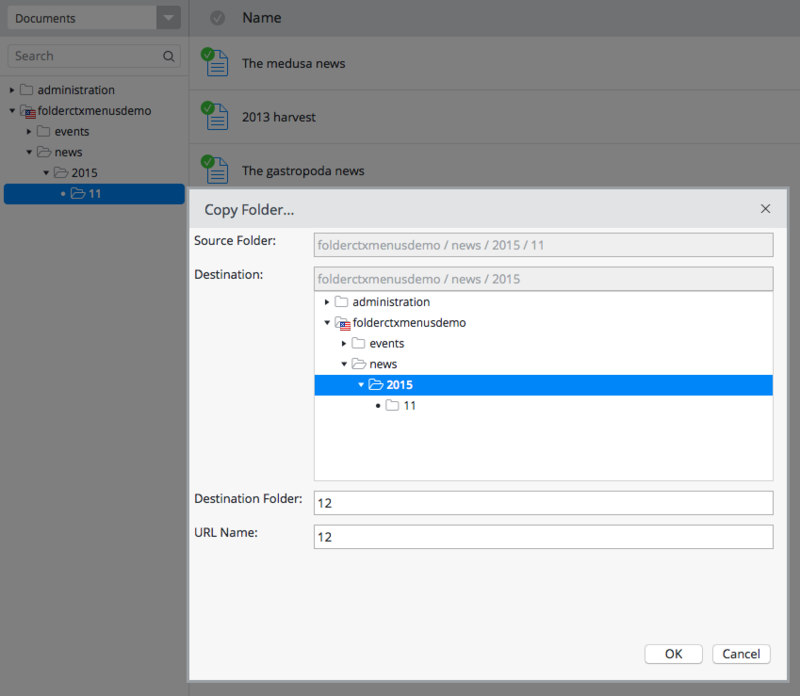 In the Folder Copy dialog, you can select the destination folder, folder name and folder URL name. Please try to click on the "See Also" links field to open the linked documents. The document links are automatically reset to the corresponding copied documents under the same copied root folder if the linked document was under the same root folder. 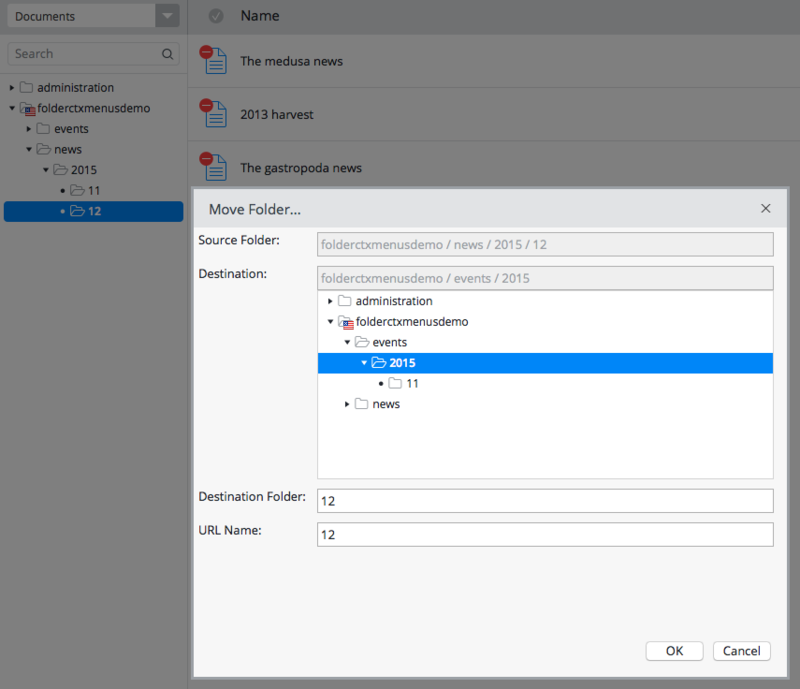 In the Folder Move dialog, you can select the destination folder, folder name and folder URL name. Please try to click on the "See Also" links field to open the linked documents. In this case, the document links are not affected by moving the folder because all the internal document lnks are based on node identifiers (UUIDs). It is also possible to use the library in programmatic way (e.g, in Java code or Groovy script) to copy or move a folder. In that case, refer to the Installing Only the Common module of BloomReach XM Extra Folder Context Menus Plugin section. Session jcrSession = ...; // you get session somehow, depending on context. 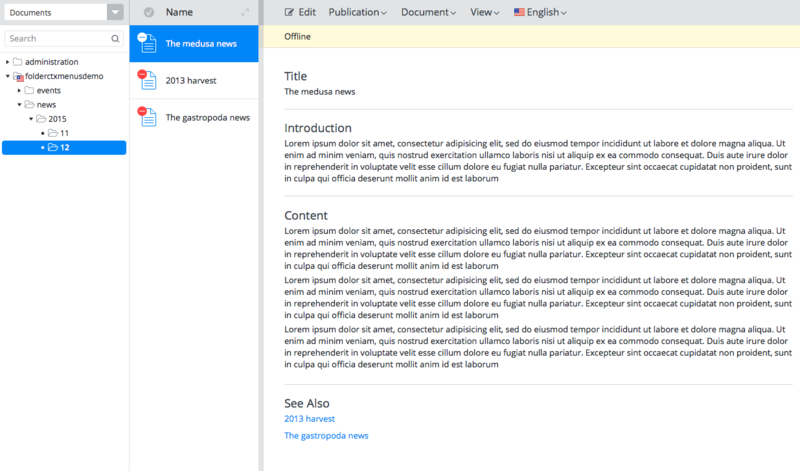 Fork me on GitHub: https://github.com/bloomreach-forge/folder-context-menus.